The Cloud by On is ideal for runners who want a minimal running shoe with maximum cushioning. 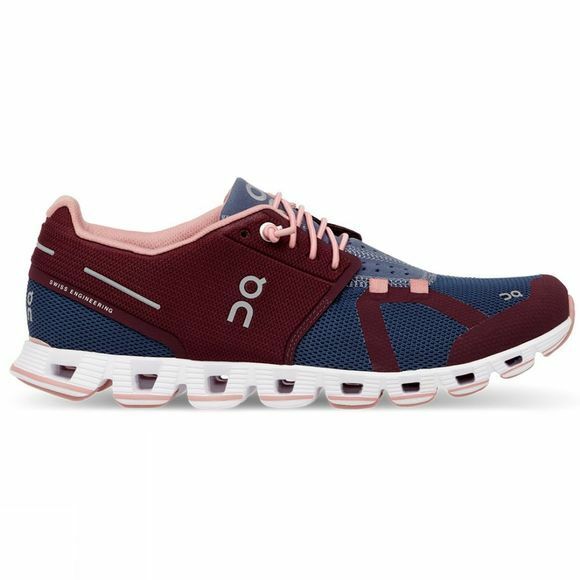 Designed for urban explorers on the move, the Cloud features Zero-Gravity foam to make the lightest running shoe in the world, with superior impact protection and cushioning. A soft landing and explosive take off combine for a springy, supported and lightweight run. The CloudTec sole responds to your gait, with a separated channel and Cloud elements directly affixed to a Speedboard for individual movement.